PETER Dutton has hit back after Malcolm Turnbull called for him to be referred to the High Court, suggesting the former Prime Minister should conduct himself with dignity like John Howard. Mr Turnbull fired off a tweet from New York overnight confirming reports he had been lobbying Liberal MPs to refer Mr Dutton to the High Court, arguing his eligibility to sit in Parliament should be tested just like Barnaby Joyce's citizenship case. The Home Affairs Minister, whose leadership challenge led to Mr Turnbull being rolled as Prime Minister and replaced by Scott Morrison, responded this morning by calling for Mr Turnbull to "enjoy his retirement" and act more like John Howard. "I think John Howard has got the gold standard here. I think he conducts himself with dignity and I hope that all former prime ministers can do that," Mr Dutton told 2GB radio. He added that Mr Turnbull had never questioned his eligibility to sit in Parliament due to his financial interest in a company that operates child care centres that receive federal government funding until the leadership spill week. "The Labor Party raised this in October of last year in Senate estimates and then never mentioned it again," Mr Dutton said. "My wife's business interests are well known. I've never taken a dollar out of that enterprise, that's the reality. "The former Prime Minister knew all of that detail. He never raised once with me the issue around section 44, his staff never raised it with my office, he never ask for the legal advice I had that showed I had no problem at all. "Mr Turnbull, when the Labor Party sought to refer the matter to the High Court, voted for it not to be referred." 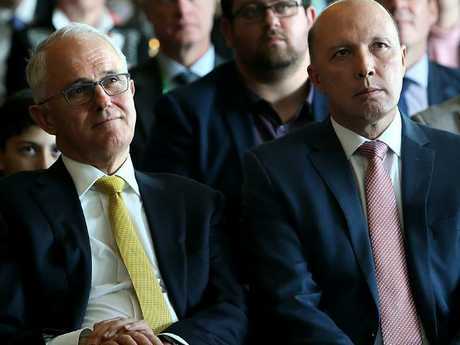 "The point I have made to @ScottMorrisonMP and other colleagues is that given the uncertainty around Peter Dutton's eligibility, acknowledged by the Solicitor General, he should be referred to the High Court, as Barnaby was, to clarify the matter," Mr Turnbull tweeted. His tweet came after Fairfax Media reported Mr Turnbull had been texting and calling Liberal MPs from New York urging them to cross the floor to support Labor's bid to refer Mr Dutton to the High Court. Mr Turnbull's comments overnight put him in line with Labor, which has been demanding that Mr Dutton send himself to the High Court. Mr Turnbull is holidaying in the US after stepping down last month during the Liberal leadership crisis. Labor's advice says he is a beneficiary of the RHT Family Trust, which operates the Camelia Avenue childcare centre in Everton Hills and receives childcare subsidies from the department of education and training. The issue is whether he is eligible to sit in parliament under section 44 of the constitution, which disqualifies anyone who has a "direct or indirect" financial interest in any agreement with the Commonwealth. "I have always complied with the cabinet rules, I have declared any interests that I've had in any discussion," Mr Dutton told Parliament. "I have recused myself from discussions where that's been deemed appropriate." Mr Morrison said he respected Mr Turnbull's advice but ultimately it was his call to make. "Obviously I have a lot of respect for the former Prime Minister and - but as the Prime Minister now, then I'll make the decisions that I believe are in the best interests of the nation," he told reporters in Queanbeyan on Thursday. Labor MP Anthony Albanese today accused the prime minister of running a "protection racket" for Peter Dutton. During Question Time yesterday Opposition Leader Bill Shorten asked the same question and was told by the PM to "get over it". "Scott Morrison knows his position as prime minister is very vulnerable. But he should learn from Turnbull. Giving into people in his own team and being weak will inevitably lead to his own destruction from within," Mr Albanese said. 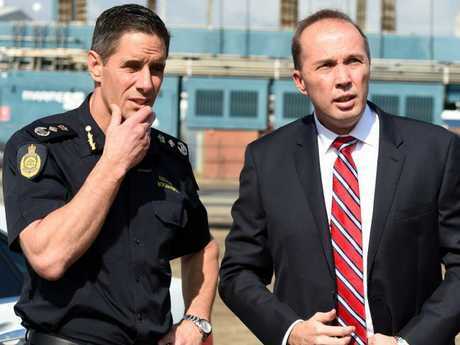 During the leadership crisis Solicitor-General Stephen Donaghue said he could not categorically determine Mr Dutton's eligibility and said the High Court could decide. 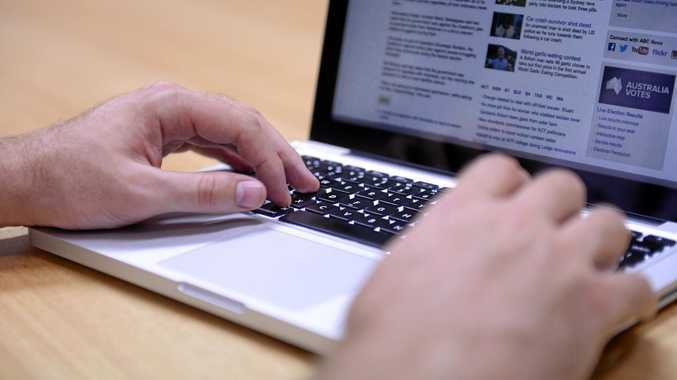 Mr Dutton said Mr Donaghue's advice and other legal advice had "put to rest" any concerns. Section 44 has caught several MPs in its net in the last year including Barnaby Joyce - who recontested his seat after being found to be a dual citizen. "I wish he'd just go and enjoy his life with Lucy," Senator Hanson told Nine. Mr Turnbull's stance now goes against his actions as PM in the dying days of his leadership. On the day before the second leadership spill that ousted him, Mr Turnbull voted with the government to block a Labor bid to refer Mr Dutton to the High Court. The government only blocked the Labor motion to refer Mr Dutton 69 votes to 68, meaning Mr Turnbull's vote was a deciding factor. But Mr Turnbull was hamstrung - he could not have voted against his party as Prime Minister. It would have meant the Prime Minister had lost the backing of his party and would have forced an election. The vote also came at the worst time for Mr Turnbull. 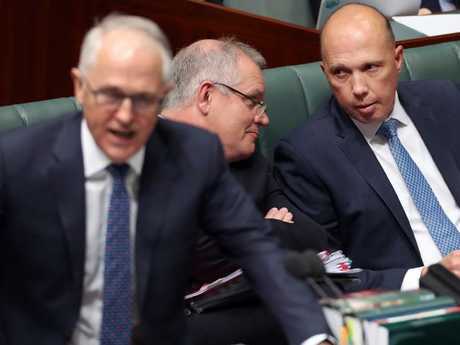 It was immediately after a string of frontbenchers handed him their resignations and as Mr Dutton's backers were circulating a petition to force him to call another party room meeting so Mr Dutton could challenge for the leadership. A few hours after the vote, Mr Turnbull announced he would step down if Mr Dutton's backers forced a spill but he refused to call the party room meeting until the following day. 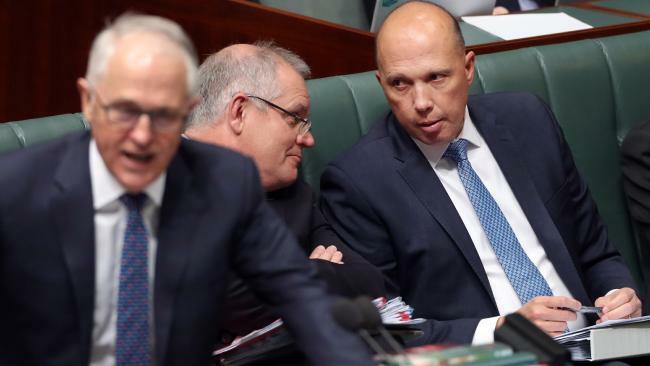 At the time, he also noted that Mr Dutton's eligibility to sit in Parliament was under a cloud, so he would not call the party meeting until the Solicitor-General had provided legal advice on the matter. "I politely expressed my dissatisfaction to the PM … he read my message but didn't respond to me," Mr Quaedvlieg said.